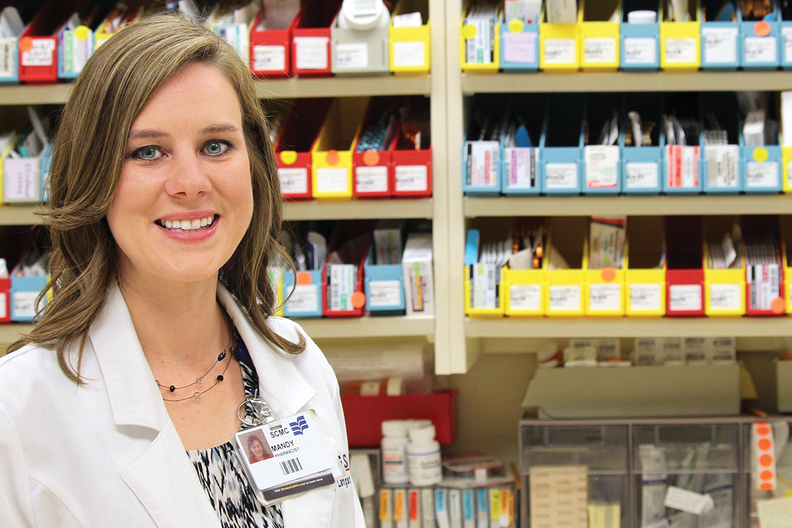 MOUNTAIN VIEW, Ark.—Hospital pharmacist Mandy Langston remembers when Lulabelle Berry arrived at Stone County Medical Center's emergency department last year. "She was basically unresponsive," Langston recalled. Berry, 78, was having a severe ischemic stroke. Each passing second made brain damage more likely. So Langston reached for the clot-busting drug Activase, which must be given within a few hours to work. "If we don't keep this drug (in stock), people will die," Langston said. Berry survived. But Langston fears others could die because of an unintended bias against rural hospitals built into the Affordable Care Act. An obscure provision forces rural hospitals like Langston's to pay full price for drugs that many bigger hospitals buy at deeply discounted rates. For example, Langston's 25-bed hospital pays $8,010 for a single dose of Activase—up nearly 200% from $2,708 a decade ago. Yet, just 36 miles down the road, a bigger regional hospital gets an 80% discount on the same drug. The ACA provisions that allowed rural hospitals to participate in 340B did not include discounts on drugs that treat rare diseases. White River Medical Center, a 235-bed facility in Batesville, Ark., buys Activase for about $1,600 per dose. White River participates in a federal drug discount program Congress approved in the early 1990s. The program offers significant price breaks on thousands of drugs to hospitals that primarily serve low-income patients. One federal report found the average discount ranged from 20% to 50%, though as illustrated with Activase, it can be much higher. Rural hospitals have long wanted to be part of the so-called 340B program, too, but were blocked from participating until the ACA was enacted in 2010. That historic health law added rural hospitals to the overall program. But, unlike bigger hospitals, rural hospitals can't get discounts on expensive drugs that treat rare diseases because of a last-minute exclusion written into the ACA. That seemingly minor detail in the law has left rural hospital pharmacists and healthcare workers struggling to keep medicines in stock, and wondering if they will be able to adequately care for patients. "Usually strokes come in clusters," Langston said. "I didn't want two people to come in and we were going to (have to) choose which one we were going to treat." "We just can't keep the extra (drugs) on hand," Starlin said. "That was one area we could not afford to be in," CEO Claudio Fort said. North Country is the only hospital in a two-county region along the Canadian border and its roughly dozen active chemotherapy patients now must drive 45 minutes away for treatment. Billy Tauzin, former CEO of the Pharmaceutical Research and Manufacturers of America, said he doesn't recall negotiating the exclusion. But, he said, the industry has consistently raised concerns about the drug discount program's reach. "It's a question of how deeply you can afford to discount drugs that are expensive," said Tauzin, who abruptly stepped down just before the ACA passed. After the health law was passed, PhRMA battled for years—in federal court—to keep rural hospitals from getting discounts on rare-disease drugs. U.S. Rep. Peter Welch, a Vermont Democrat who represents North Country, said it is clear whom the law hurts and helps. "The pharma lobbyists pay attention, and their lawyers pay attention to the fine print," Welch said. The pharmaceutical industry "changes that fine print . . . (and) many legislators don't even realize (that it) will have this adverse impact on hospitals in their communities." The Food and Drug Administration gives the designation as a first step when it agrees with a drugmaker's request to study whether a drug can be used to treat a specific rare disease. This can happen even if a drug is already FDA-approved and on the market for use in treating a common condition. The next step—the ability to market the medicine as an orphan drug—comes once research confirms that the drug is safe and effective in treating a specific, less common condition. About 450 orphan drugs have been approved by the FDA. But thousands of drugs are "designated" and more are identified every week. The list includes generic drugs such as the hormone melatonin and the autoimmune drug abatacept. In other words, medicines used to treat everything from sleep troubles to arthritis have ended up "designated." "Basically, Genentech is saying to me that rural healthcare and the patients in rural America are not as important as patients in urban areas," Smith said, adding the pharmaceutical industry "knows we have less manpower to fight them." Sarah Jane Tribble is a senior correspondent with Kaiser Health News, a not-for-profit health newsroom whose stories appear in news outlets nationwide. It is an editorially independent part of the Kaiser Family Foundation.